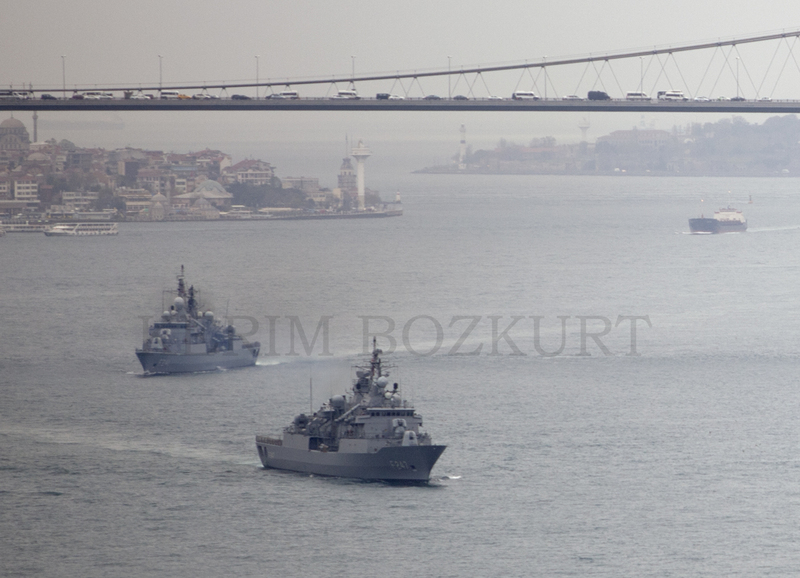 These are the photos from the passages of Turkish warships through Bosphorus in the last 10 days. 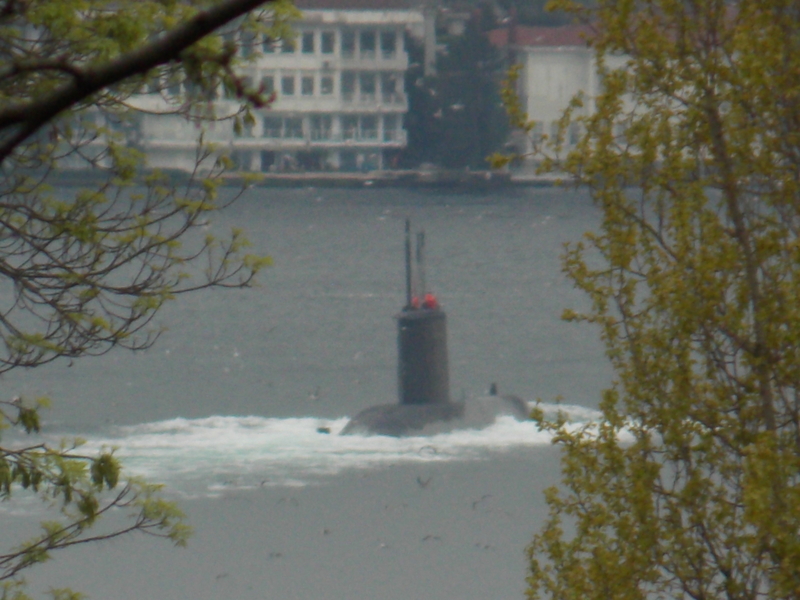 Unidentified Turkish Preveze or Gür class submarine making a southbound passage through Bosphorus as she was returning from Deniz Yıldızı 2104 naval exercise on 11 April 2014. Photo: Yörük Işık. Used with permission. 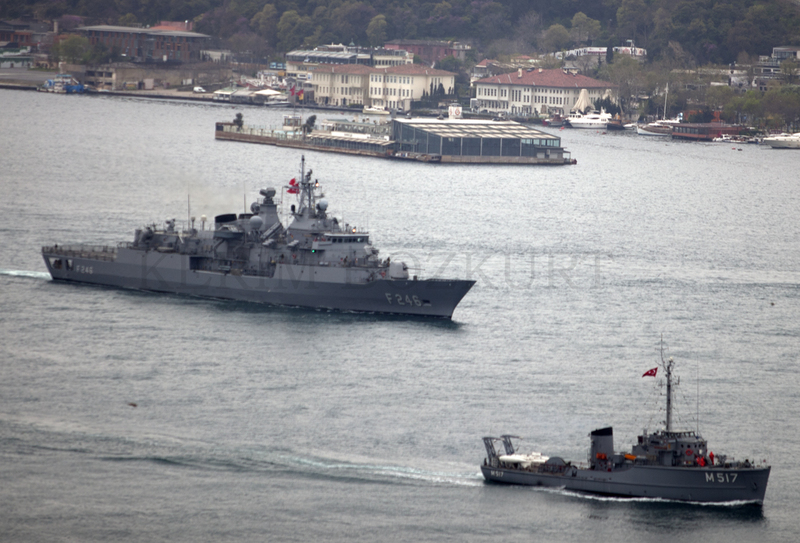 Turkish frigate F-244 TCG Barbaros making a southbound passage through Bosphorus as she was returning from Deniz Yıldızı 2104 naval exercise on 11 April 2014. Photo: Yörük Işık. Used with permission. 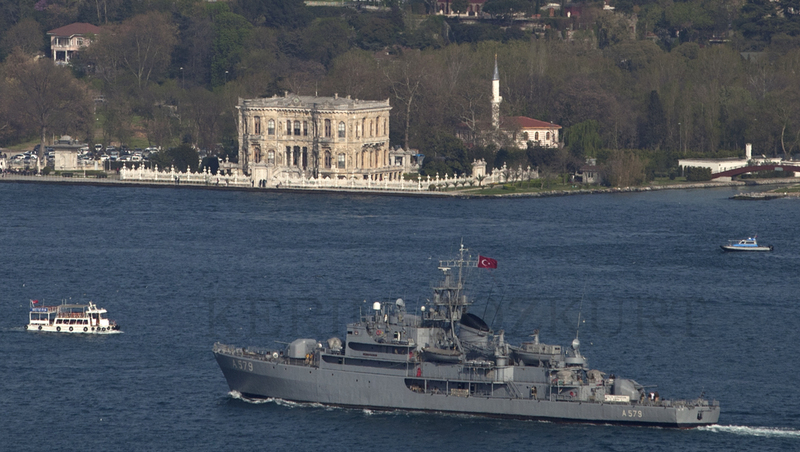 A-579 TCG Cezayirli Gazi Hasan Paşa on a northbound passage through Bosphorus on 6 April 2014. 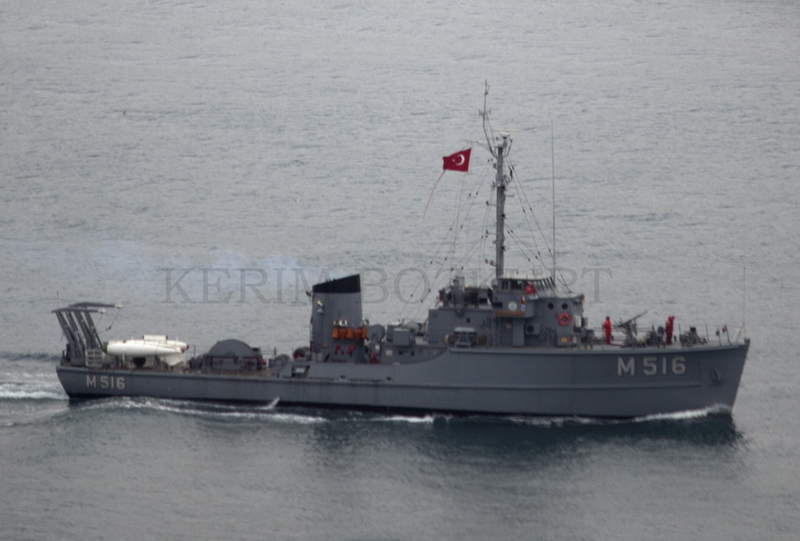 She is on her way for her Deniz Yıldızı 2014 naval exercise deployment. Photo: Kerim Bozkurt. Used With Permission.